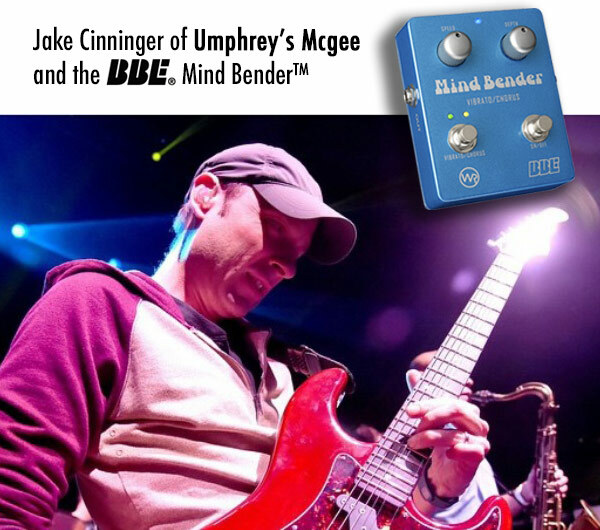 Jake Cinninger of Chicago prog jam outfit Umphrey's McGee recently caught up with us and shared how much he loves his BBE Mind Bender™ chorus/vibrato pedal. Jake says, "The Mind Bender is the real deal chorus — it has a stronger presence in the mix than any other chorus or vibrato pedal I've ever tried. I've always found that effects of this nature can tend to really take away from the overall vibe, but not so with the Mind Bender. It's a loud and dynamic effect, capable of going from a silky '80s style chorus to twisted Leslie-like vibrato in an instant!" Jake's touring rig includes a new G&L Comanche® ("This axe is stellar! 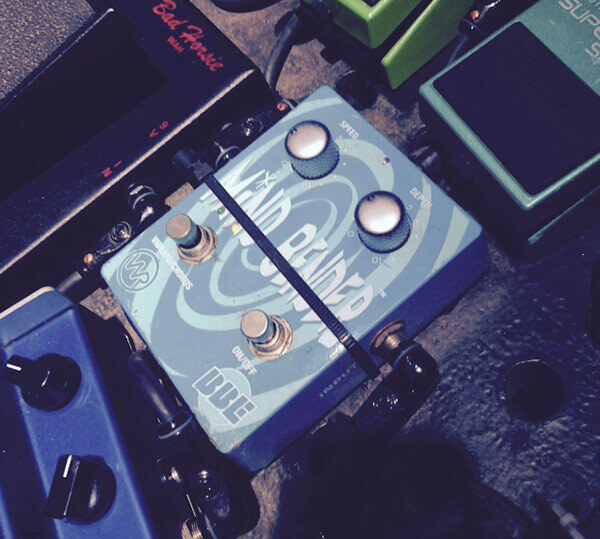 "), and his on-tour pedalboard prominently features the Mind Bender. Do note in the photo below that Jake's pedal has our older graphic treatment; we've freshened the pedal's look, but preserved the same killer tone! About the BBE Mind Bender™: Earning the Guitar World Platinum Award, Mind Bender is two pedals in one, with an authentic Bucket Brigade Delay circuit serving up supremely lush, warm chorus and the ultimate in classic vibrato. Inspired by the inimitable guitar wrangling of Will Ray and created by Paul Gagon, Mind Bender warps the sonic boundaries from gentle pulsation to spaced-out ray gun effects.